In recent years there has been a consistent trend toward style-based investing across the institutional asset owners I work with. Even if these investors don’t implement specific style or smart beta strategies, they often use a risk model to monitor the tilts within their managers to gain a deeper understanding of what drives their risk and returns and to make sure their products are true to label. What I often see overlooked are the deep regional or home biases in these investors’ portfolios. The perception is that all factors are created equal and work well across different regions. I see this manifest when clients use a truly global, market cap weighted risk model on their various strategies. While it may be true that most well-known style premia seem to exist in most markets, it is not true that the same style premia between markets behave in a uniform way. For example, Value companies in Australia and Value companies in the U.S. should not be expected to behave the same. 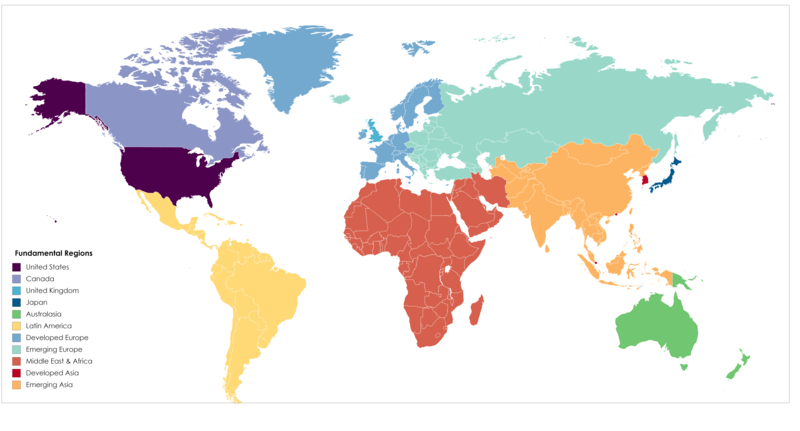 To illustrate this, let’s take the FactSet Northfield Global (FNG) model, whose style factors are built in regional blocks represented in the graphic below. This model is one of the options available within FactSet’s Multi-Asset Class (MAC) model framework, and is designed to account for regional biases in portfolios when computing risk estimates. The regions are selected so as to be granular, to differentiate between the common types of regional/country strategies we see employed by our clients, but not be too narrow so as to still provide robust results when undertaking the cross-sectional regression used in their construction. The FNG model has eight style factors representing the most common trading strategies encountered by our clients. These are typically composites of individual factors as the efficacy of those individual factors varies significantly across markets. If I plot the average correlations between the same factor in each region (i.e. 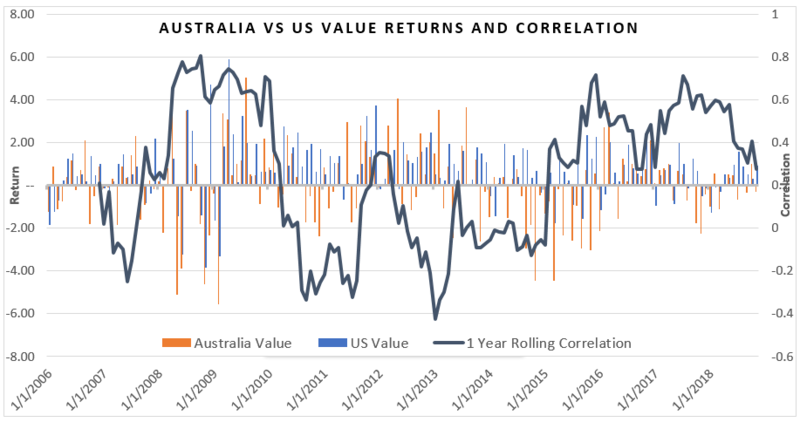 Value in U.S. vs Value in Australia and so on) over the whole history of the risk model, then you can see that the relationships across regions are generally weak. The exceptions to this are Momentum and Volatility, which seem to have significant correlation across regions (i.e. they are more global in nature). 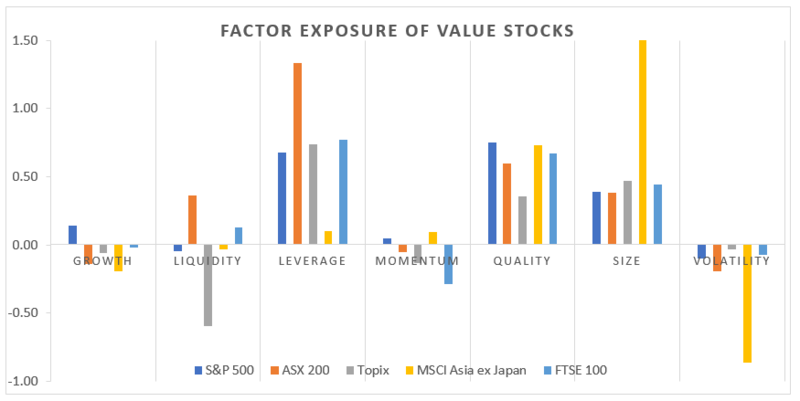 To provide an illustrative example from the analysis above, we focus on just the returns of the Australian Value and U.S. Value factors. What we can see is that there are periods where they appear to be highly correlated, like around the 2008 financial crisis and subsequent recovery, while in other periods their correlation drops to near 0 or becomes negative. What we can glean is that these kinds of fundamental style factors appear to move independently across regions, and though they go through periods where they appear to be correlated, these correlations cannot be relied upon to be consistent. Just as the relationships of style factors across regions can be weak and variable over time, they also carry different baggage. By factor baggage, I mean the unintended factor tilts that come along for the ride when you buy stocks with a certain characteristic. To stick with my Value example, it’s generally expected that if I buy value stocks, on average these stocks are likely to have tilts toward Quality and Size. It’s impossible to buy pure factors. For a traditional asset owner it’s important to understand what they are going to get if they tilt the portfolio toward certain factors or dig into managers’ performance using a factor-based approach. Smart Beta products continue to become more popular, and these products are typically constructed through naïve factor approaches. They tend to have a lot of baggage which impacts their return. To illustrate this, I took five major global indices at the end of last month. I grouped all the stocks in them by their exposure to the Value factor in the FNG model and took just the top Quintile. I then plotted the weighted average factor exposures of these stocks across each of the seven remaining style factors in the model. Keep in mind these factor exposures are Z scores. So, in each group if a factor is +-0.2 from the others then it is likely to be statistically significant. As was my prior expectation, you can see that on average, value companies tend to have tilts to Quality and Size. But in Japan, value stocks also tend to be less liquid than in other regions. In most regions value stocks tend to be more levered than their market peers, except for in South East Asia. In South East Asia, Value companies tend to exhibit an extreme large cap and low volatility bias as compared to in other regions. To fully understand how style factors impact your portfolio, or to construct a portfolio in a systematic way, you must take any large regional tilts or region/country specific strategies into account. The best way to do this is to use a model that is specifically built to work for the region or strategy in which you are investing in, but that may not always be practical. FactSet’s FNG model balances the importance of regional styles with simplicity and uniformity across regions to complement different types of strategies. Ian Hissey is Vice President in the Portfolio Analytics group at FactSet and has been at FactSet since 2008. Ian is responsible for the Sale and Support of FactSet’s Multi Asset Class (MAC) risk product in Asia Pacific. His role is also to guide the development of that product to meet the diverse set of challenges faced by financial market participants in Asia. 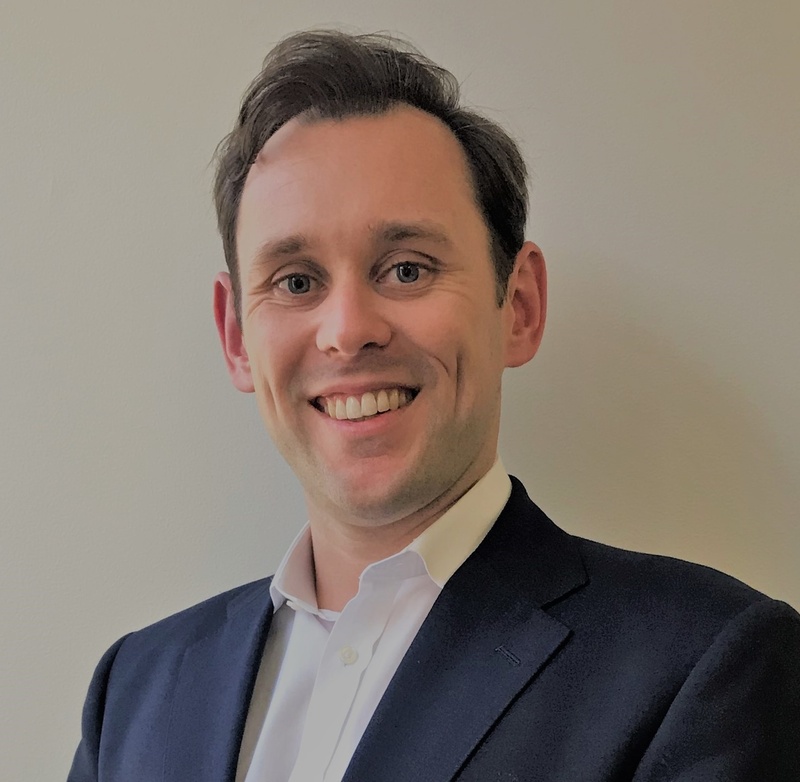 Previous to his current role, Ian was the manager of FactSet’s Portfolio Analytics team based in Australia for four years where he worked with FactSet’s largest clients in Australia and NewZealand. Ian has a holds a bachelor degree in Economics and Social Sciences from the University of Sydney.